Yes, we are gluttons for punishment. We have a day off work and what do we do? 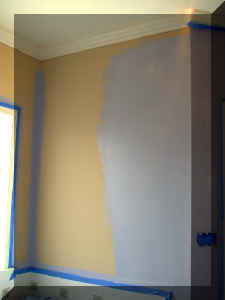 Decide to do a kamikaze paint job on the master bathroom. Yeah, that's real relaxing. ;-) Why? 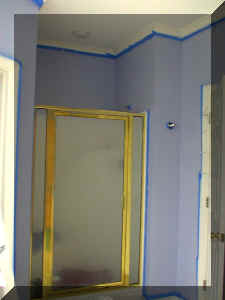 Well, after I painted the guest bedroom Rich saw how good it looked and then took a look at our master bathroom. It lacked in the good paint job dept - guessing that the builder did 2 things wrong in there - a: didn't prime well over the shower and jacuzzi since they were in very early on and b: when he touched up the last time he didn't stir the paint or took it from a different bucket. And, apparently this fact was REALLY bugging Rich so we headed to Home Depot yesterday and got paint and got started early this morning. Here's the early results! 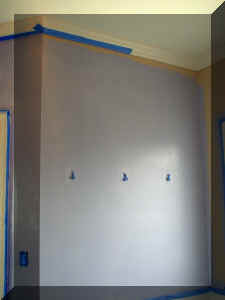 It's a color called "Subtle Grape" by Behr. 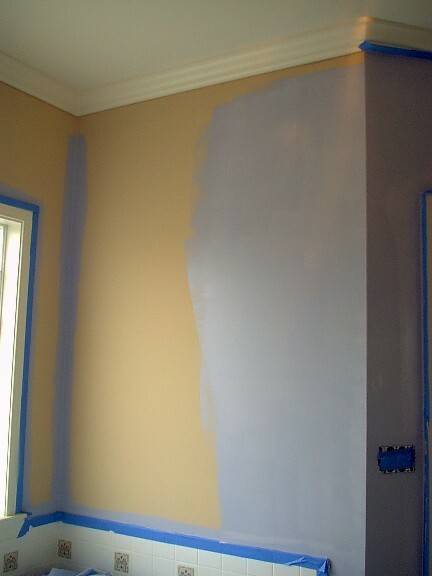 Meaning, it's kind of a medium blue/lavender. This is above the jacuzzi with the old paint so you can see it's pretty radical change. The other side of the jacuzzi where the shelf hangs. 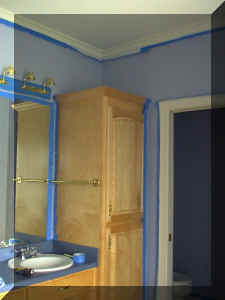 This is looking at my side of the vanity and into the toilet room after the second coat of paint. 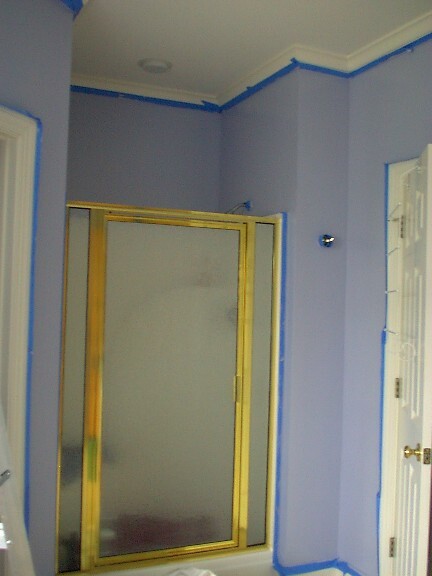 The shower area after the second coat of paint. 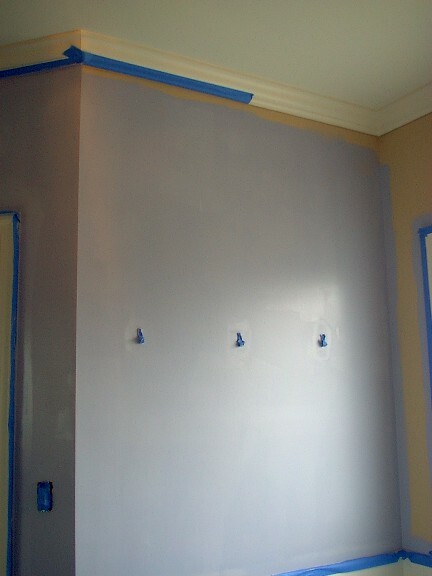 I'll get some pics tomorrow and put them up after we've taken off the tape and got the bathroom back together.